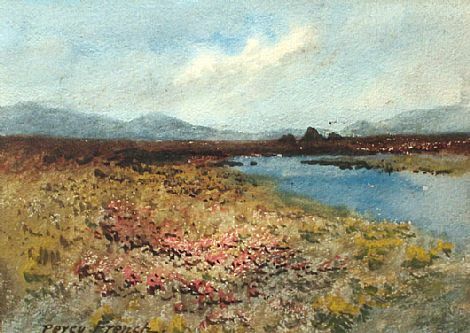 (1854 - 1920) William Percy French was born 1854 in Co. Roscommon. 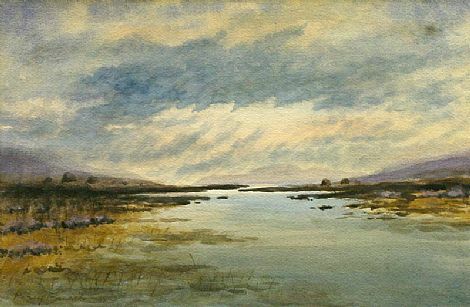 He spent eight years at Trinity College Dublin where he developed his talent for watercolour painting and eventually graduated with a degree in civil engineering. Not only was French a talented visual artist, he was also a gifted musician and composer. During his lifetime he became a household name throughout Ireland, as both an artist and entertainer. He was also a regular contributor to the RHA.